I asked the representatives of Representatives of the International Committee of the Red Cross (ICRC) to bring my father's video, Azerbaijani hostage Dilgam Asgerov's son told to AzVision.az. Recently representatives of the International Committee of the Red Cross (ICRC) have visited Kalbajar hostages Dilgam Asgarov and Shahbaz Guliyev. 'As usual, they gave us verbal information. And I asked them to bring either letter, or a video from my father. ICRC representatives told that they will consider my request in their next visit,' Azerbaijani hostage Dilgam Asgerov's son noted. Note, during an operation in July 2014 in the Shaplar village of Azerbaijani Kalbajar district, occupied by Armenia, the Armenian special forces killed an Azerbaijani, Hasan Hasanov, and took hostage two other Azerbaijanis, Shahbaz Guliyev and Dilgam Asgarov. A "criminal case" was initiated against them. 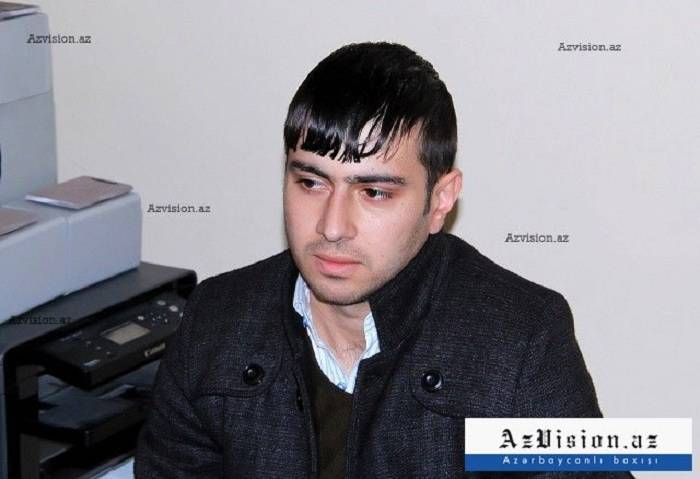 Afterwards, a "court" sentenced Asgarov to life imprisonment and Guliyev to 22 years in prison.